Looking for a Facebook Video Downloader? With more than 900 million active users , facebook is known as the largest social network on the planet. People want to share and connect with others on facebook. With facebook, we can upload photos, create groups and share funny videos with friends. Facebook has lots of interesting videos out there which can not be downloaded directly, but many times, we prefer to download facebook videos and save them offline for entertainment or preserving. So how to do this? Actually, you can easily get this done by using a facebook video downloader like Flash Video Capture. This professional program not only allows you to download facebook, but also helps to download youtube, google video, dailymotion videos, etc. Below is the step by step guide on how to download facebook videos. Download this facebook downloader and install it on your PC. An application icon will be created on your desktop after installation. Once you have installed it, you can open the application by double click the desktop icon. Before you proceed, you need to know there're 2 types of videos posted on facebook : one is the type of videos which are shared links (normally youtube videos ), and the other is the type of videos actually hosted on facebook. So, the process might be slightly different. After downloading the program, open the file and follow the on-screen instructions. As we mentioned above, most of the videos posted on facebook are hosted by youtube, and simply shared on facebook. 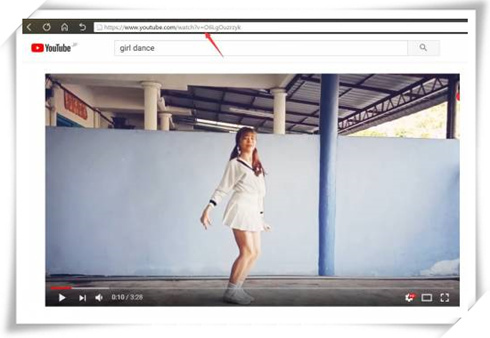 To get the url of those videos, you can simply right click on the playing video, select "Copy Video URL"(please make sure that the video is playing).Surfing on video sharing site and view your favorite flash video . 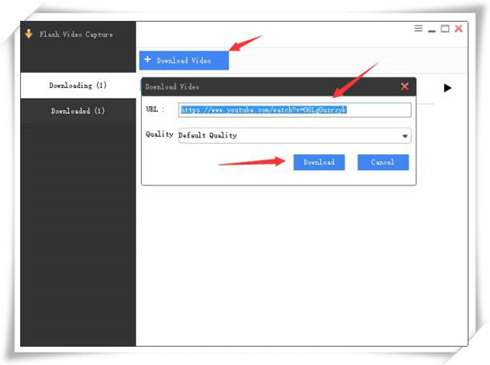 Launch "Flash Video Capture" , and click "Download Video" button to bring up a "Download Video" window.Paste the URL in the "URL" textbox. Choose the video quality you prefer . Click "Download" to start download facebook video. Once the download process is completed, you will get a "File downloaded" window. Here you can play the video by clicking the file name. Or you can also locate the file in the folder by clicking "Open Folder". 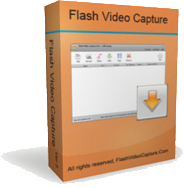 Now you know how to use Flash Video Capture? a quick and easy Facebook Video Downloader that will help you to save facebook videos. The best way to capture video from websites. Capture video from various video sharing sites. Disclaimer: Please be aware that Flash Video Capture does not allow capture of copy-protected video and audio streams. Copyright © 2008-2018 flashvideocapture.com, All rights reserved.